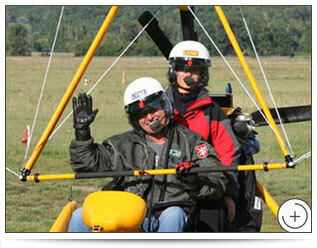 This unique package offers you the opportunity to experience what it's like to be a motorized hang glider pilot. Accompanied by an instructor, you will attend a private classroom training, go on a 30-minute familiarization flight as a passenger and you will finish by taking orders in the pilot's seat for 45 minutes. Assisted by dual control with your instructor, you will have the chance to practise the basic techniques of piloting while flying over the beautiful Chaudière-Appalaches area. 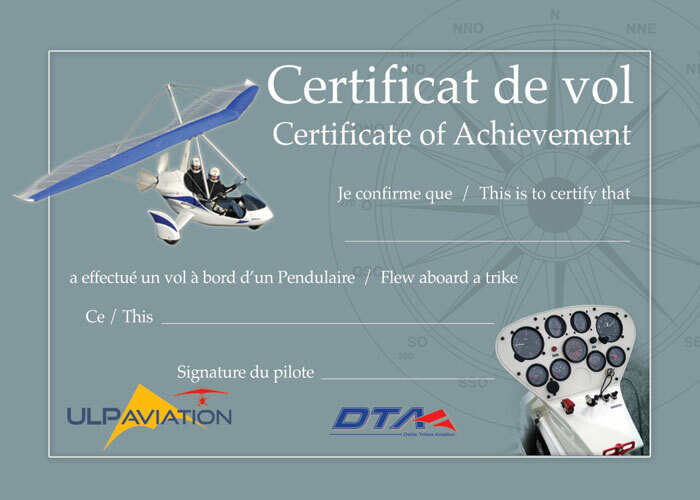 At the end of your adventure, you will receive a pilot-for-a-day certificate and a souvenir photo. Who knows? 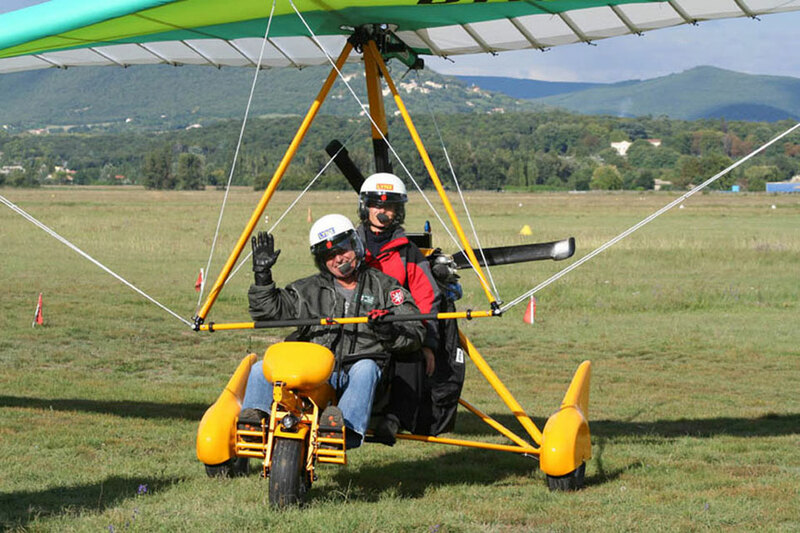 Maybe this first experience will give you the desire to continue as an ultralight trike pilot. The first time is counted as accredited training. Secure payment for your transactions. *Shipping and Handling: 7.00$ - Taxes not included.